Kuala Lumpur (often abbreviated as KL) is the capital and the largest city of Malaysia. The city proper, making up an area of 244km2, has an estimated population of 1.6 million in 2006. Greater Kuala Lumpur, also known as the Klang Valley, is an urban agglomeration of 7.2 million. It is the fastest growing metropolitan region in the country, in terms of population as well as economy. The city is also the cultural and economic center of Malaysia. 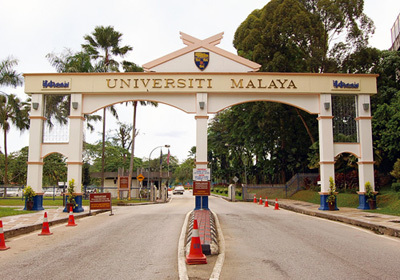 The University of Malaya, the first university of the country, is situated on 309 hectare campus in the southwest of Kuala Lumpur, the capital city of Malaysia. The University of Malaya was formed in October 1949 to help lay the foundations of a new nation by producing a generation of skilled and educated men and women. The university motto, "Ilmu Punca Kemajuan" (Knowledge is the Key to Success) reflects the philosophy of the university in its constant endeavor to seek knowledge in all fields to produce successful graduates and a successful nation. Since Kyoto University and the University of Malaya have an intensive and long collaboration through the JSPS-VCC (Japan Society for the Promotion of Science-Vice Chancellor Council in Malaysia) Core University Program for almost 25 years, there has been a strong reason the University of Malaya participates and has become one of the important overseas base universities in Asia. In November 2009, the Global Center for Education and Research on Human Security Engineering for Asian Megacities and the International Center for Human Resource Development in Environment Management in Kyoto University exchanged the Memorandum of Understanding with the University of Malaya regarding the establishment of an overseas base. The purpose of establishing this overseas base is to support and promote research and educational activities of Kyoto University in Malaysia. You can download the PDF file of GCOE KU-UM newsleter from here.